Question: Help! My cannabis plants are young (growing in soil indoors with sunlight and my leaves are medium sized) yet my main stems are turning purple from the top downwards. Have you seen this before? 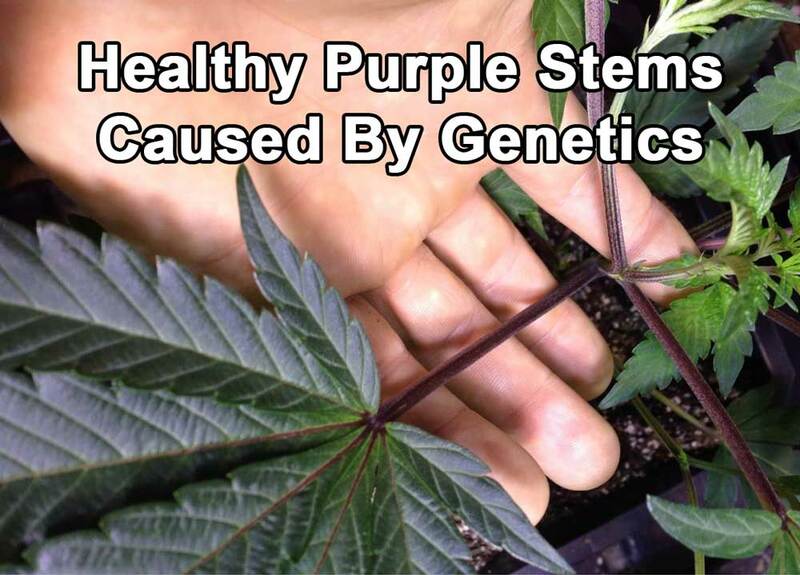 Answer: When a cannabis plant or seedling has a purple stem without any other signs of problems, it is often the result of genetics. However, sometimes you'll see red stems (pictured right) which can sometimes be caused by stress, environment or pH problems. 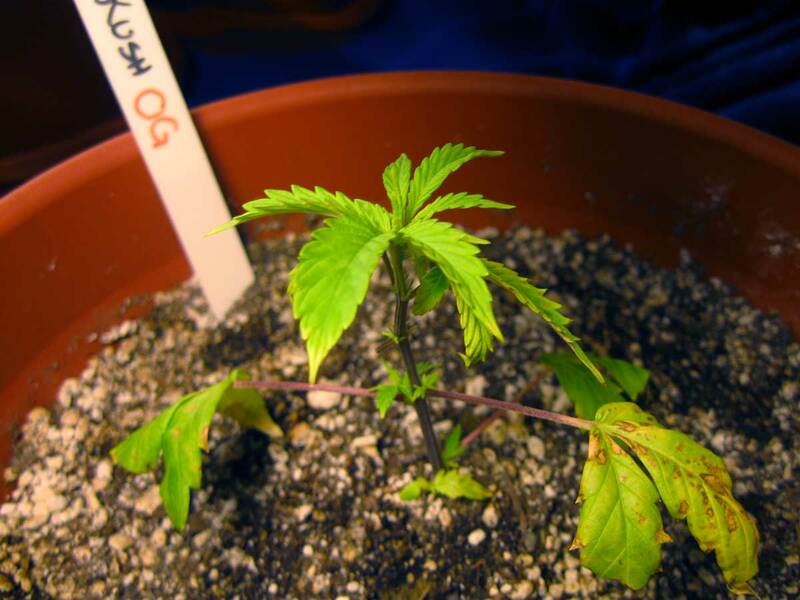 Wait a week or two before making any alterations if your plant otherwise appears healthy and is growing fast. If there are no other symptoms and the rest of the plant is growing fast and healthy, red stems usually aren't a big deal. 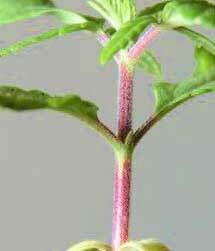 Often stems turn green on their own. As long as you're continuing to take good care of your plant and responding quickly to any other problems, you should be okay. These red stems were caused by transplant shock and overall stress, but the clone just needed some TLC and time to grow out of it. 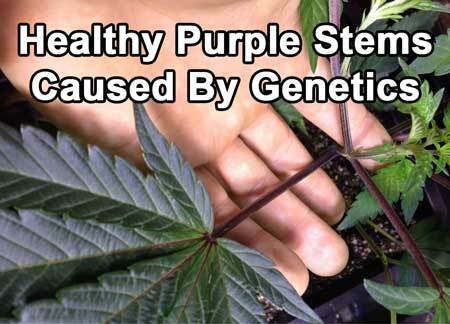 Magnesium deficiency can cause purple stems. A good cannabis-friendly nutrient system has a significant amount of magnesium, but if you're using very soft water, or RO water, you may need to add a Cal-Mag to your nutrient regimen.